190+ Scientists Appeal to the U.N. to Protect Humans & Wildlife from Wireless Technology & EMF! New York, NY, May 11, 2015. 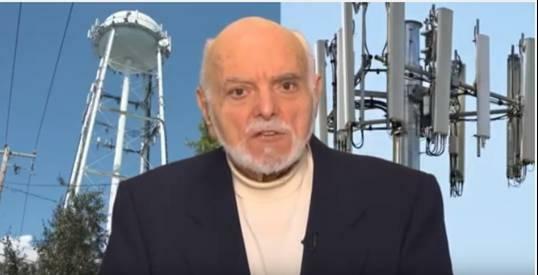 Today 190 scientists from 39 nations submitted an appeal to the United Nations, UN member states and the World Health Organization (WHO) requesting they adopt more protective exposure guidelines for electromagnetic fields (EMF) and wireless technology in the face of increasing evidence of risk. These exposures are a rapidly growing form of environmental pollution worldwide. The “International EMF Scientist Appeal” asks the Secretary General and UN affiliated bodies to encourage precautionary measures, to limit EMF exposures, and to educate the public about health risks, particularly to children and pregnant women. The Appeal highlights WHO’s conflicting positions about EMF risk. WHO’s International Agency for Research on Cancer classified Radiofrequency radiation as a Group 2B “Possible Carcinogen” in 2011, and Extremely Low Frequency fields in 2001. Nonetheless, WHO continues to ignore its own agency’s recommendations and favors guidelines recommended by the International Commission on Non-Ionizing Radiation Protection (ICNIRP). These guidelines, developed by a self-selected group of industry insiders, have long been criticized as non-protective.